Did y’all get a chance to check out my first video on YouTube yesterday? I’d love to know what you think and what topics you’d like me to feature next! Feel free to email me questions and suggestions for my new channel! Don’t forget to subscribe to the channel so you get notified automatically when there’s a new video live! 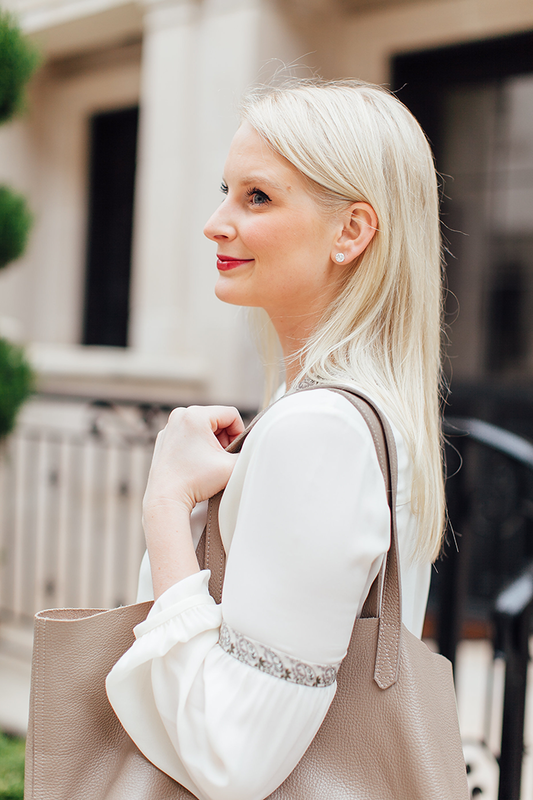 Now onto today’s outfit… It’s no secret that I adore a good blouse. 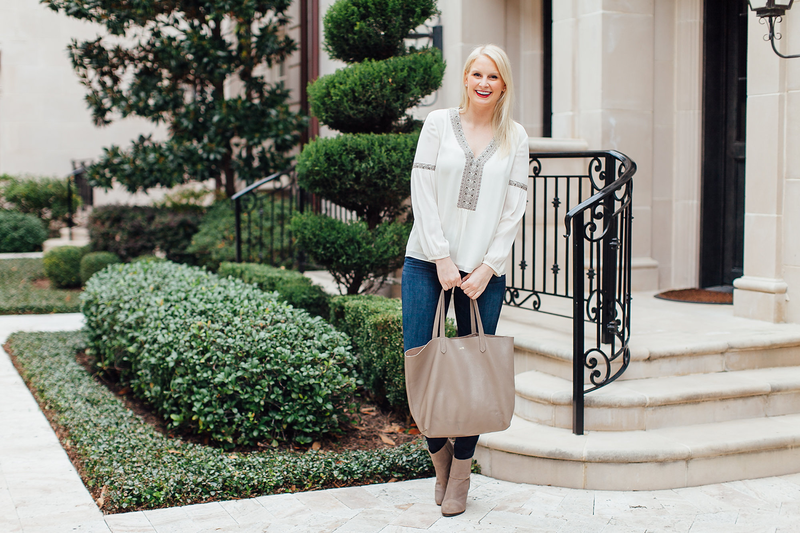 I found this one the night of my Tory Burch event in Highland Park Village last month! I love the slightly boho vibe it adds to my everyday look. 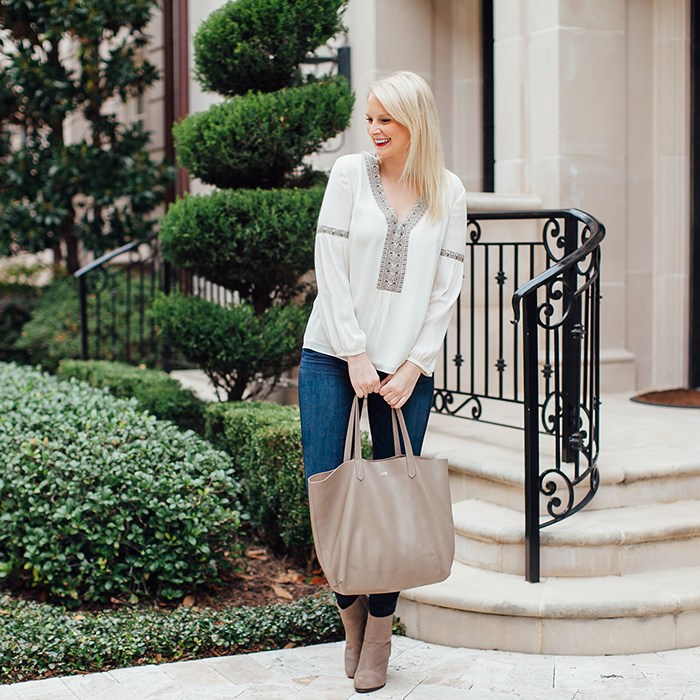 The printed trim features subtle neutrals that look amazing with my new stone Newbury booties and favorite Cuyana tote! This stone color is one I’ve been loving lately and looks awesome with so many colors, year-round. 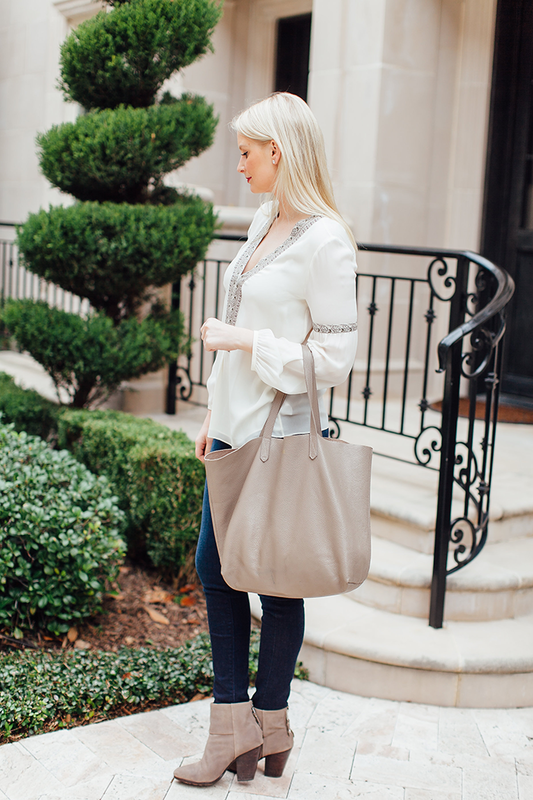 This is the kind of outfit I love to wear to brunch or a casual dinner with my friends. It’s comfortable and chic, don’t you think? Perhaps I’ll wear it this weekend… Hope you have a great one! 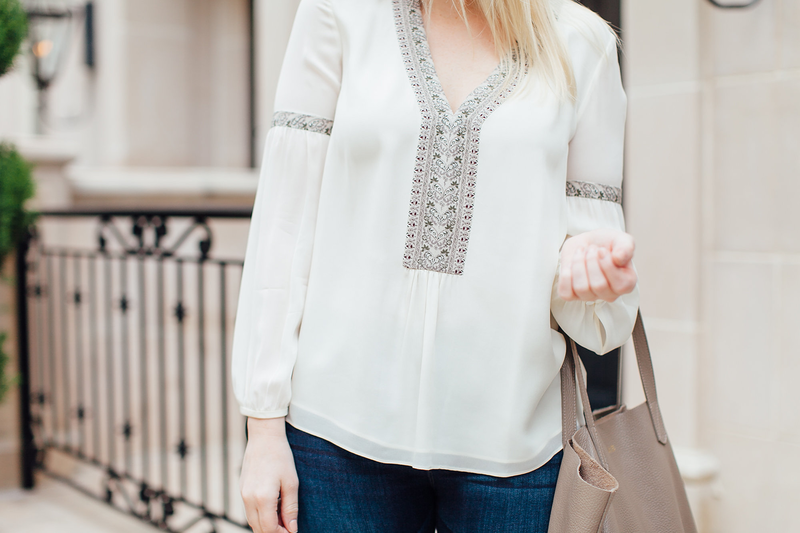 Such a pretty blouse. Loving the overall color scheme! I’d love more videos on your fav skin care and make-up tips. That’s definitely in the works! My initial goal is to do 1-2 beauty videos per month – Valentine’s Day is next, so I’ll be focusing on that first, but will definitely be doing more of my everyday basics! Eeekkkkkkk! I love this! Have a great weekend! I love the detailing on your blouse! And you look absolutely gorgeous in red lipstick!